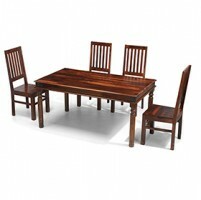 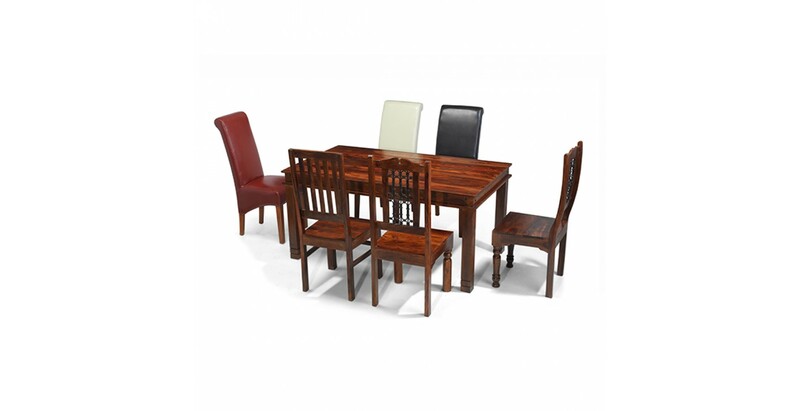 For lavish buffets, special celebrations or just everyday dining with plenty of room to spread out, this huge table will make a superb centrepiece for any large dining space. 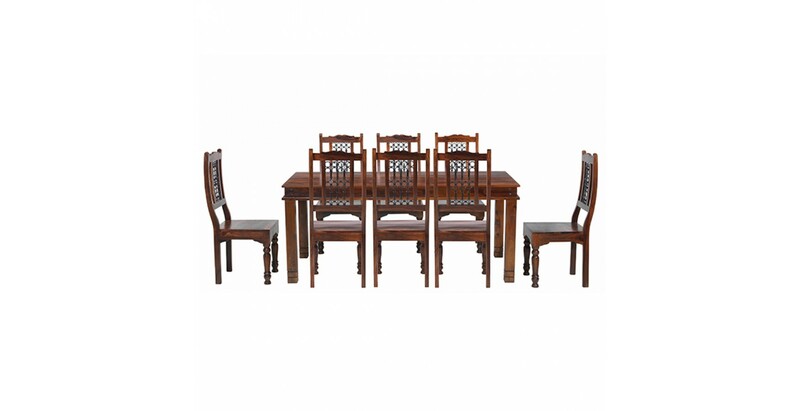 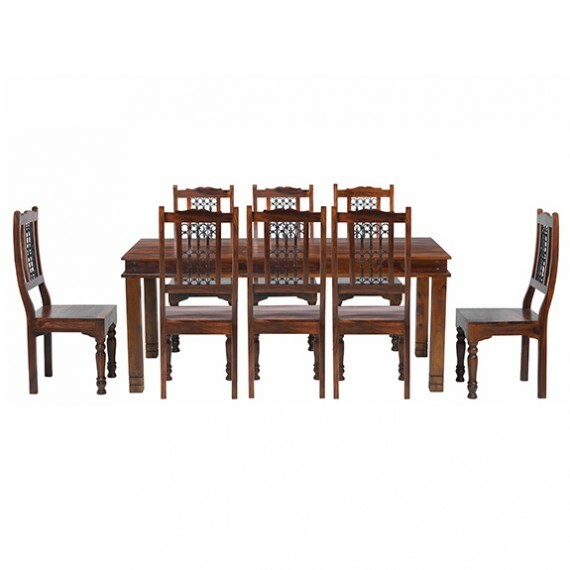 Beautifully handmade to last from tough sheesham wood, its dark-toned natural beauty, eye-catching iron stud work and chunky square legs with carved detailing evoke the age of the Maharajas but it's ideally suited to modern life. 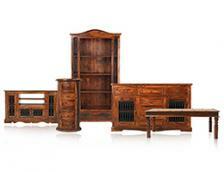 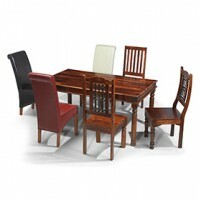 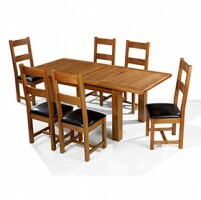 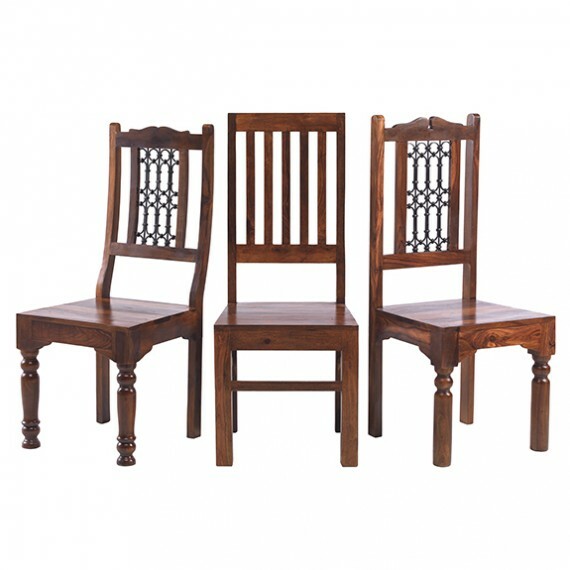 Seating at least eight, you get to choose which eight chairs you want to accompany it from a range of complementary designs. 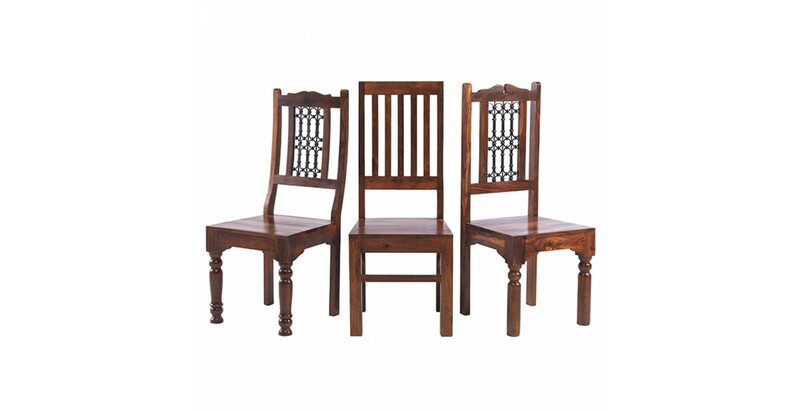 The Jali High Back and Jali Low Back Ironwork chairs are a more decorative choice with their turned legs and iron portcullis back decoration, while the Jali High Back Slat Chairs keep it simple but elegant with their solid wood construction. 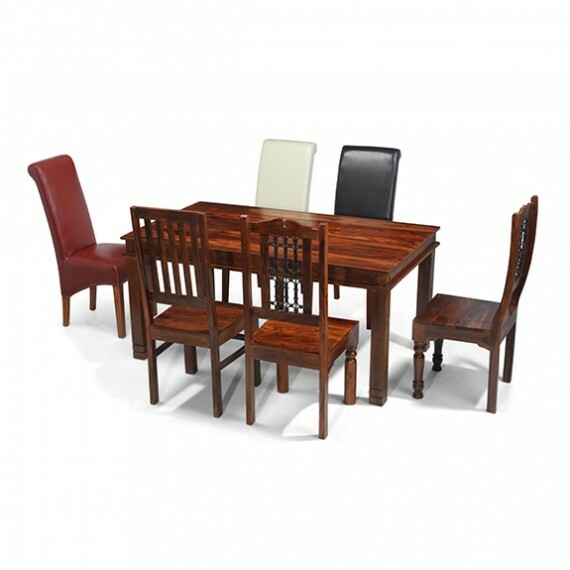 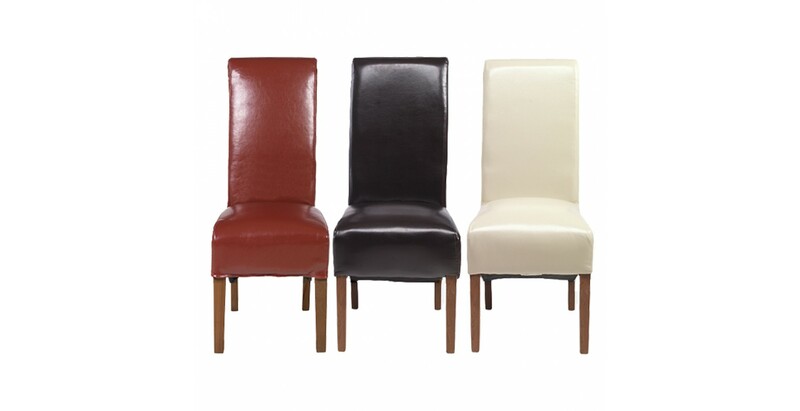 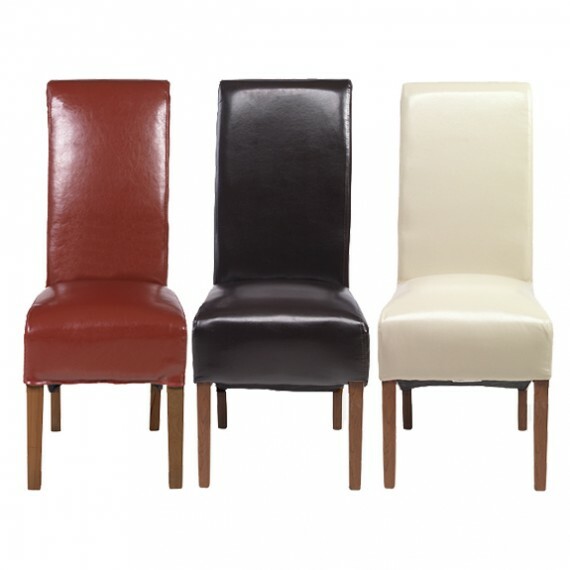 And should you want something with a more modern feel, our bonded leather chairs in red, beige or brown will be the ones to choose.